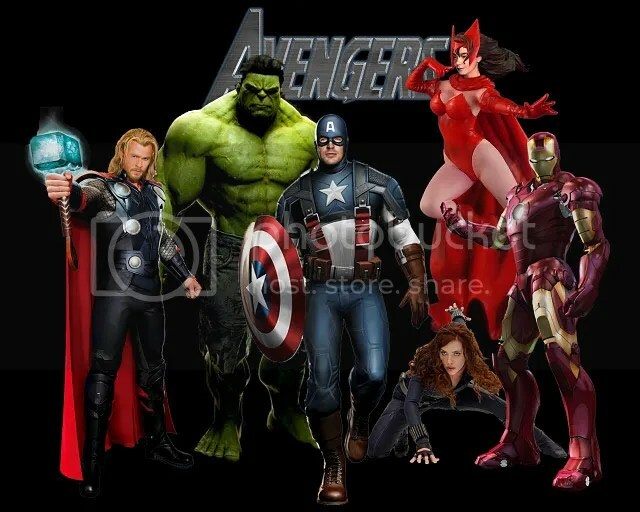 Ever Since the release of The Hulk, Iron Man and Thor movies there has been talk of a New Avengers movie featuring them all together, and the question of what they will look like has been been tantalising comic book fans for months. Well, The wait is finally over and we have been treated to the release of two new promotional banners showing the highly anticipated Avengers line-up. The second poster features Samuel L Jackson dressed as the superhero team’s boss Nick Fury, Jeremy Renner as supersniper Hawkeye (A.K.A Clint Barton), Scarlett Johannson as secret agent extraordinaire Black Widow and Tom Hiddleston as the movie’s villain Loki. There is also a rumour circulating that Thanos also makes an appearance – the makers felt they needed an additional threat, because Thor had already defeated Loki once. The Infinity Gauntlet was also shown in the Thor movie too, which has also led to a lot of speculation on the internet. Money-wise The Iron Man franchise alone has grossed over 900 million between the 2 movies. Thor and Captain America both took in around 800 million worldwide themselves. The Incerdible Hulk would be considered the weakest of the group but it still did around 260 million worlwide.